Courtesy Photo: BPCC Debate Team and coaches at the 2016 IPDA National Championship Tournament in Baytown, TX. (left to right): Megan Smith, Jakob Volcheck, Jordan Wilson, Zack Witt, Dena O’Banion, Shaletra Thomas, and Bob Alexander. 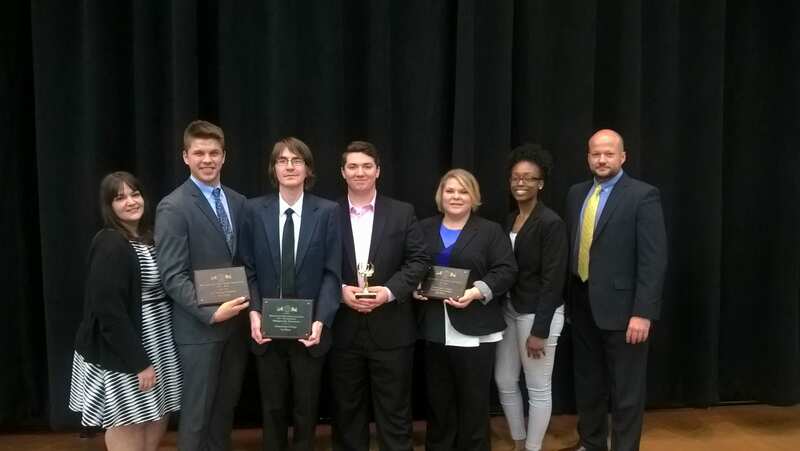 While Houston hosted the NCAA’s “Final Four”, just down the road in Baytown, Texas intercollegiate debate’s national champions were also being crowned. BPCC’s Debate Team finished as the 3rd ranked community college at the 2016 International Public Debate Association National Championship Tournament. The team was led by sophomore captain Jakob Volcheck, who finished the year as the #6 ranked debater nationally in the Junior Varsity division, and freshman Zack Witt, who advanced to the 9th round of competition before being eliminated in the round of 32. Also representing BPCC were Jordan Wilson and Shaletra Thomas. Together the team earned 14 wins over the competition en route to earning a 3rd place finish. During the IPDA’s annual season-long awards presentations on April 3rd, the team was also recognized as the 5th ranked community college for the 2015-2016 regular season. This marks the 8th consecutive year that BPCC has finished in the top 5 nationally amongst community colleges. In both the season-long awards and at the national championship tournament, rankings are assigned based on the number of victories debaters earn. “I’m extremely proud of the performance of each of our students,” said Alexander.